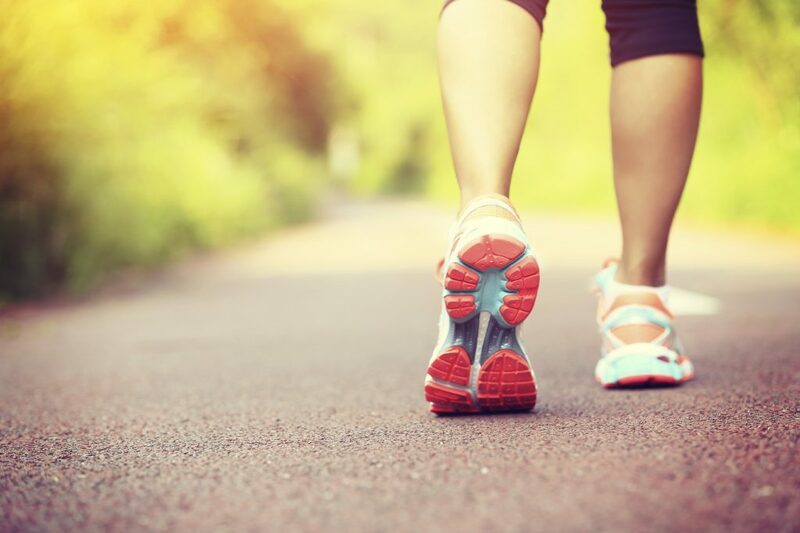 April 1st is ‘Walk to Work’ day and while for many of us, walking to work isn’t feasible (especially in this weather), that doesn’t mean we can’t start introducing a little more walking into our daily routines. Prevent or manage some health conditions, including heart disease, high blood pressure, & type 2 diabetes. Improve your balance & coordination. You may not be able to walk TO work, but you can still get some walking in during the day. Take a break and walk around the office periodically throughout the day. If you feel stuck on something, walking is a great way to get the creative juices flowing and make you more productive. Instead of circling the parking lot looking for a spot next to your building, park towards the back and add a few minutes of walking into your schedule. While running errands, if possible, park in a central location and walk from place to place instead of driving. It’s better for you and you’ll save a little gas (and money). It may not seem like much at first, but that time you spend walking up and down the stairs at work will start building up. Active stair climbers are more fit and have a higher aerobic capacity. Even two flights of stairs climbed per day can lead to 6 lbs. of weight loss over a year. Bring along your iPod and listen to your favorite album, an audiobook, or podcast you’ve been meaning to catch up on. Use your walking time to do something for yourself that you ordinarily wouldn’t get to do. If spending time alone isn’t your thing, get your family and friends involved. Use that time to catch up on what’s been going on in your lives away from the everyday distractions. Purchase a pedometer and make a goal every day for your steps and see if you fulfill it (or even exceed it). Make it a competition with your friends, family, or co-workers and see who can get the most steps in during a specific time period. The winner can receive a small prize, such as a $5 gift card or an extra ten minutes at lunch.